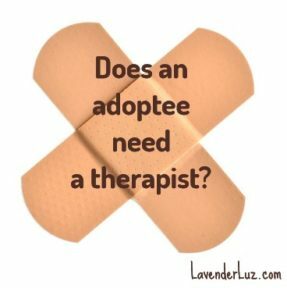 Does An Adopted Child Really NEED a Therapist? 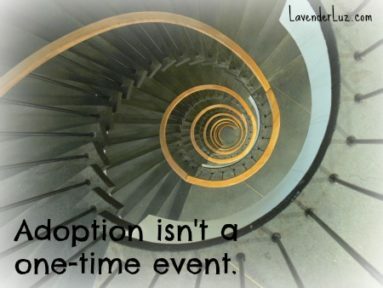 Question: Some kids in my adoption community have history, sometimes unhappy, harsh, and/or abusive history before they joined their families. The kids sometimes talk about their history with their adoptive mothers who attend a support group I host. Is that enough? Or is it better that these children work with a therapist? If these children talk at a young age and their mothers comfort them, will their teen year be better? Or will they still have tough teenage years? 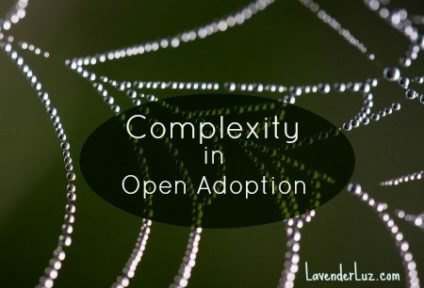 My Daughter is Hurting in Our Open Adoption. Help? Question: My teenage daughter is struggling with rejection and misunderstandings from her birth family. I don’t know how to help. “Sara” will be 16 soon and for the last year she has struggled with depression and anxiety. She spent a week in the hospital after having a breakdown. We are in DBT (Dialectical Behavior Therapy) together and she’s made great strides, working hard to learn new ways to deal with big emotions. We have an open adoption with her birth family. Her birth mother, “Tara,” chose us to be her parents and we kept in touch with her the first 3 years by phone and letters. We told Tara we were open to whatever she felt comfortable with. When Sara was 3, Tara came to meet her. The beginning of this relationship was hard, because there really are no rules and we did not know anyone else in the same situation. So we all opened ourselves up to each other the best way we could. Over time, we got to know the whole family, including Sara’s older brother, “Jacob,” who is 2 years older, and who has a different birth father. When Sara was 7, Tara told us she was pregnant with twins and that she’d parent them (they all live with her father). We struggled to find a way to share this news with Sara. My husband and I thought that the way we reacted to the news would be the way Sara would react. We told her that she was going to be a big sister, and they were twins! She was very excited and couldn’t wait to meet her new siblings. We all knew that there could be problems for Sara later on, maybe that she would struggle with them all being a family with her the only one not raised by Tara. We have developed a close relationship, seeing Tara and the three children fairly often, sharing holidays and birthdays. We have taken Jacob on trips with us (the twins were too young), including camping. There were always some issues between Sara and Jacob, because they did not grow up in the same household, but we weathered those times, knowing that siblings sometimes don’t get along. But they always had a lot of fun and so did we. I’m seeing a pattern, connecting dots. I was at the library the other day and noticed that our adoption agency had fliers on the table. I picked one up.